Fig. 1. Graphic summary of the study. 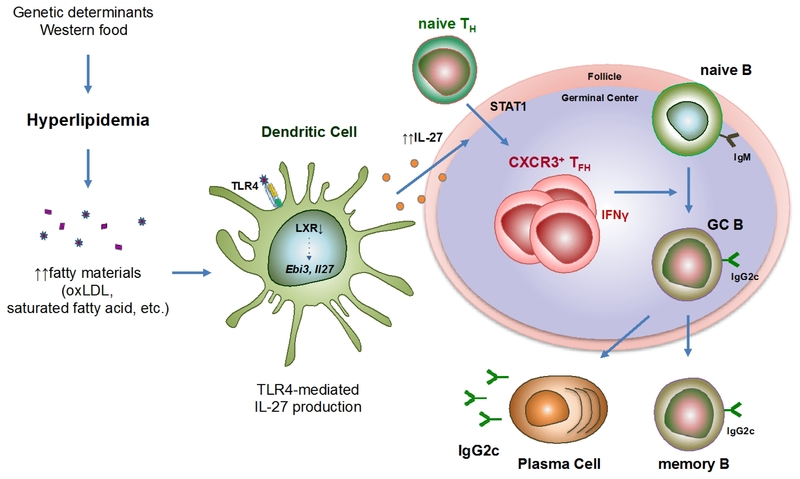 Hyperlipidemic environment triggers IL-27 secretion by dendritic cells in a TLR4- and LXR-dependent manner, which then stimulates the differentiation of CXCR3+ TFH cells. These CXCR3+ TFH cells induce germinal center reactions and the production of pathogenic IgG2c autoantibodies to aggravate autoimmune lupus in mice.